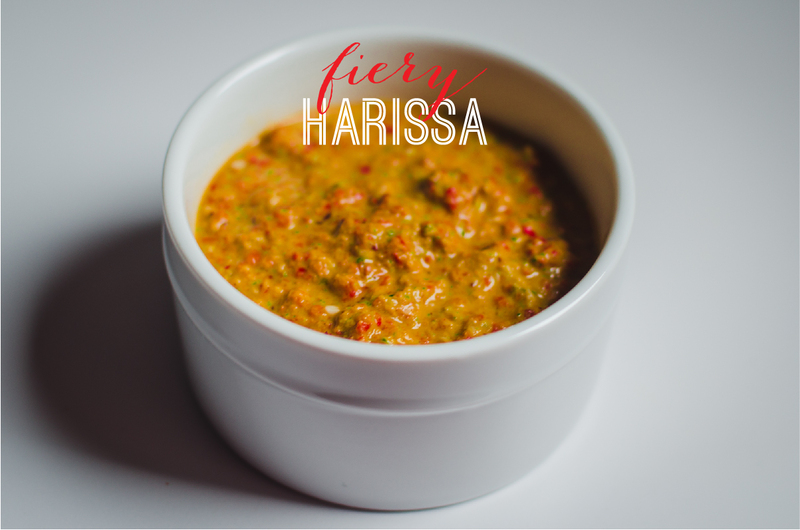 We learnt about this ‘magic wand'(Harissa) from our frequent visits to the Moroccan stall at the farmer’s market. Our staple brunch every Sunday would be lamb shawarma from this stall which were without doubt the best shawarmas we had ever had. Since we became its loyal customers, after a couple of friendly chats, the vendor told us about the sauces that make his shawarma so special. One of them was Harissa. This Moroccan sauce has various versions, depending upon how hot one wants it to be. 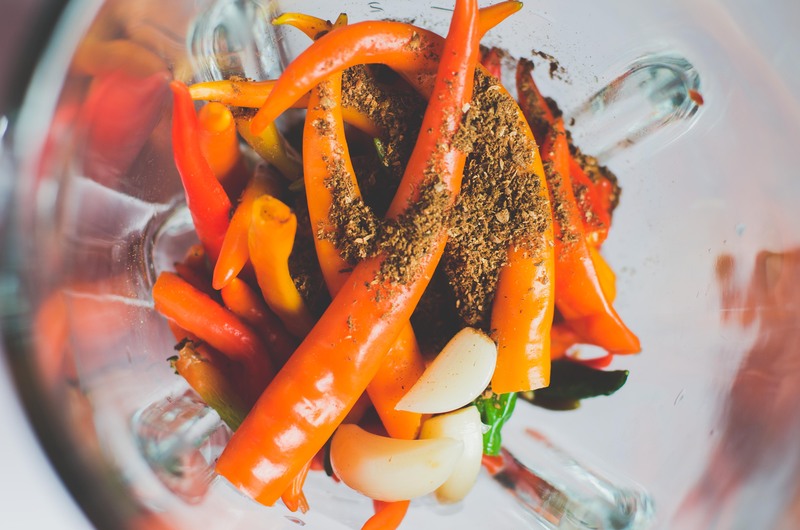 The reason I called this sauce a ‘Magic Wand’ is that it adds a flavorful punch to almost any dish. However, it is typically used to marinate meats or as a spread for wraps and also as a flavouring agent in most couscous recipes. Here is my version which is really HOT. 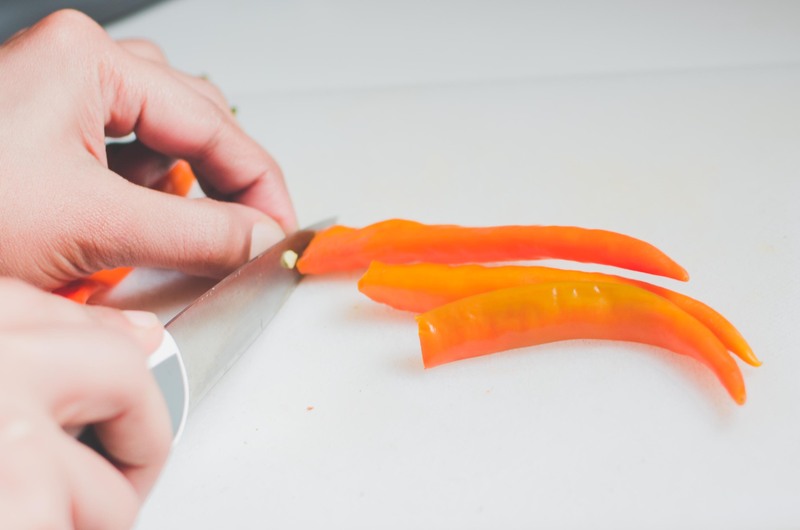 You can use seeded chiles, and replace some chiles with charred and peeled bell peppers to make it less hot. 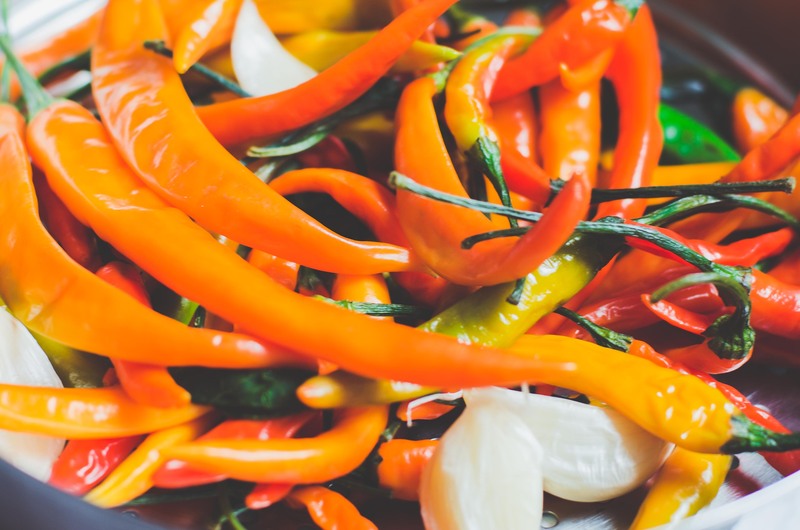 Soak the chiles in warm water for about 20-30 mins. Drain the chiles, reserving about 2-3 tablespoons of the soaking water and then stem the chiles. Stir coriander, caraway and cumin seeds in a small skillet over medium-high heat until aromatic for about 30 seconds. Then crush them using a mortar-pestle until finely ground. Finally, put all the ingredients in a blender, including coriander, lemon juice, salt and olive oil. Puree until smooth. If the texture is thick, you can add a little olive oil and the reserved chili water. Store it in a jar in the refrigerator with its top covered with olive oil. This entry was posted in FOOD, Recipes, Sauces and tagged caraway, Condiments, Coriander, cumin, harissa, Hot sauce, middle eastern, moroccan, moroccan food, sauce, sauces, spice recipes. Bookmark the permalink.